One of ARMS‘s hidden bosses is now a playable character courtesy of another free content update. Nintendo’s brand new fighting game, ARMS released exclusively for the Nintendo Switch this past Summer. The new IP from Nintendo sees combatants going head-to-head in long-range boxing matches, complete with custom weapons and abilities linked to both the fighter himself or herself, and interchangeable gloves selected prior to each match- or “Arms”. Though its popularity was admittedly dwarfed by the impeding release of Splatoon 2, Nintendo continues to aggressively support ARMS with a flurry of updates, each of which includes a batch of free DLC content offering new playable characters, stages, music, modes, timed events and customization options. Nintendo issued another content update this week, this time bringing one of the two hidden boss characters to the playable roster. Spring Man cyber-clone “Springtron” is now playable via the recent Update 4.1 patch, bringing his sinister robotic moves to players across the ARMS League. 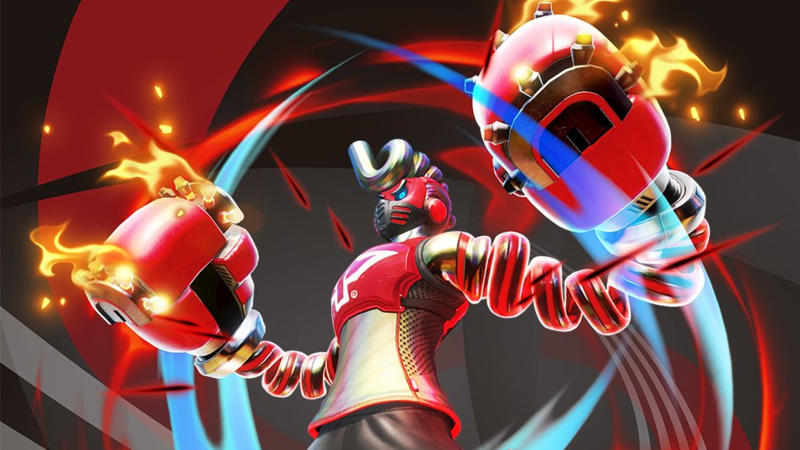 Springtron first appeared in ARMS courtesy of Update 3.2 as a secondary hidden boss; akin to “Hedlok”, Springtron will only appear if players progress though the Grand Prix mode on a certain difficulty without losing a single match. Though his appearance and playstyle mark him as a clone-character, Springtron lacks Spring Man’s ability to permanently charge his Arms when his health drops below 25%; being a robot, the mechanical fighter will also release an energy field upon charging for 3 seconds, disabling any incoming punches or grabs from opponents. To download Springtron, simply update ARMS to Version 4.1.0 via the Nintendo Switch Home screen. Nintendo also recently added “Misango” and the new “Temple” stage two weeks ago through Update 4.0. The Mayan-influenced Misango battles alongside a spiritual companion, granting him one of three perks when charged; “Red” grants Misango temporary armor and increases grapple damage, “Blue” increases both land and air mobility, “Yellow” enables automatic blocking and quickens the recharge rate of his Rush Meter. ARMS is available both digitally and physically for the Nintendo Switch.